Take a little trip with me. 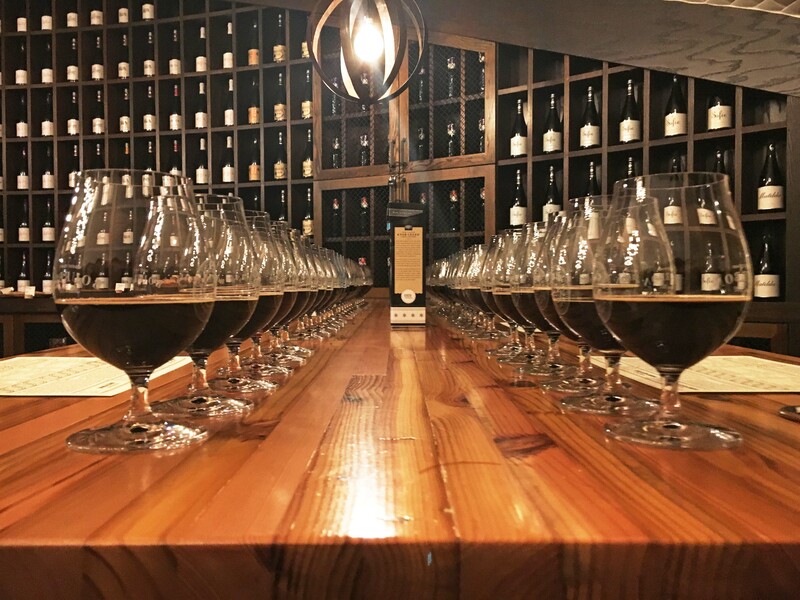 Come back to a time when people cared about year-end lists – approximately three and a half weeks ago, or perhaps never – and allow me to share my completely arbitrary rankings of beers released in 2017 that I enjoyed. Gather up the plush folds of this WordPress template website and gather them to your chin as you cozy up to what amounts to beer review magnetic fridge poetry rearranging words like “juicy” and “orange” and “malty” in all their repetitive and empty glory. All of this self-deprecation has a point. I’m no professional beer reviewer, but I do drink and review a lot of them for the purposes of our podcast. 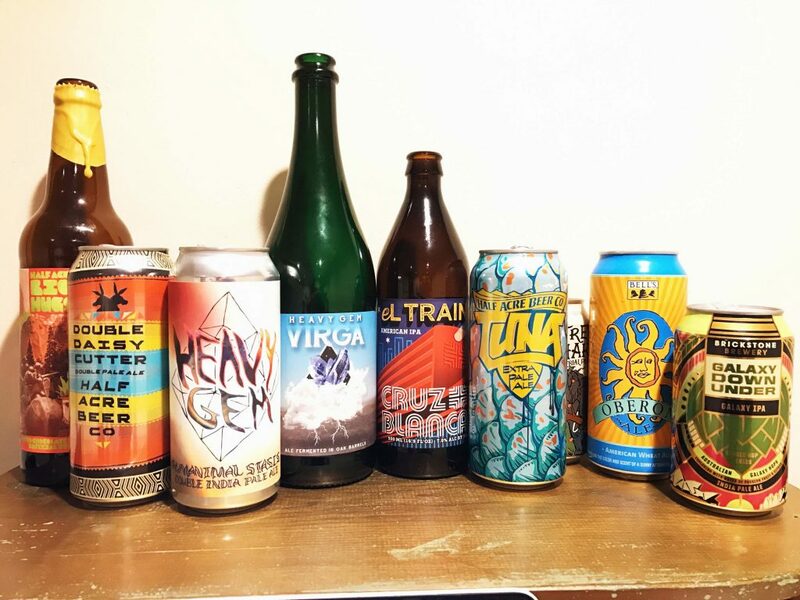 Each year we record ourselves reviewing somewhere between 300 to 400 beers, and over four years, we’ve gotten marginally better at it. Mostly, we try to be entertaining and inviting and use beer reviewing as our MacGuffin that gives us a predictable structure. 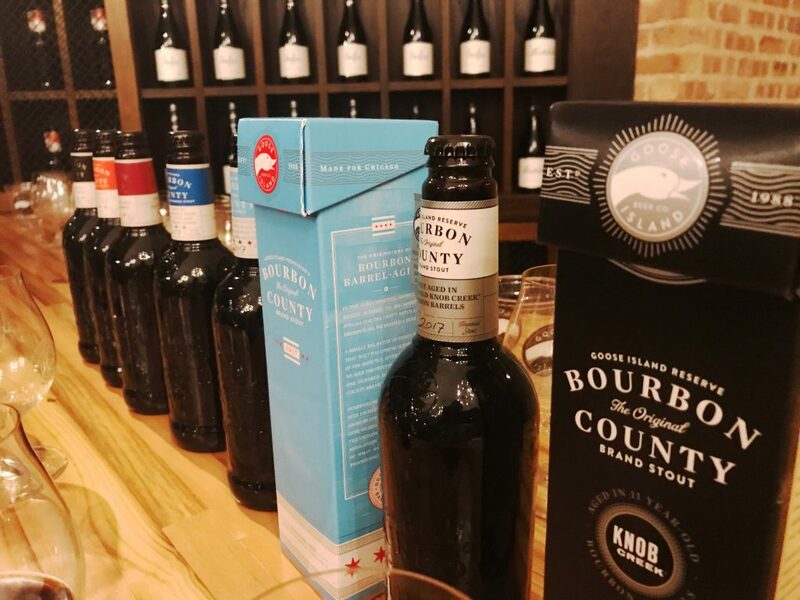 There is no objectivity to what we do – my personal preferences for styles, lack of international style or brewery diversity, and Chicago-centric focus – will be extremely obvious in this list. 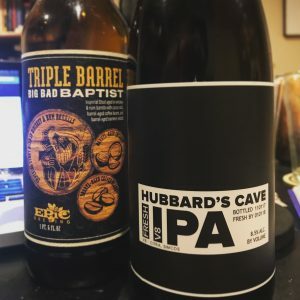 But I enjoy writing lists like this, so thank you for checking this out, and it would be awesome if you end up trying some of the beers on this list because of my recommendations. These aren’t necessarily the beers I’ve had the most of, but the ones that I’ve referred back to the most: the ones that have lingered in my memory clearly enough that just seeing the name gives me aromatic and flavor flashbacks. All beers on this list had fresh releases in 2017, so no cellared rarities here. And so many thanks go out to the brewers, listeners, and friends that provided many of these beers for us – there are too many to mention by name, but we’ve been very fortunate this year. Be sure to check out Craig’s list here! One of the more exciting side projects that seemed to slip just under the Illinois radar is Untitled Art out of Madison, Wisconsin. The brewery comes from Levi Funk (of Funk Factory Geuzeria) and Isaac Showaki (of contract brewhouse Octopi and formerly of Chicago’s 5 Rabbit), and nearly half of their releases thus far are collaborations with a stellar array of up-and-coming breweries like Forager, 3 Sons, Pulpit Rock, and Hailstorm, largely focused on IPAs, stouts, and Berliner weisses. 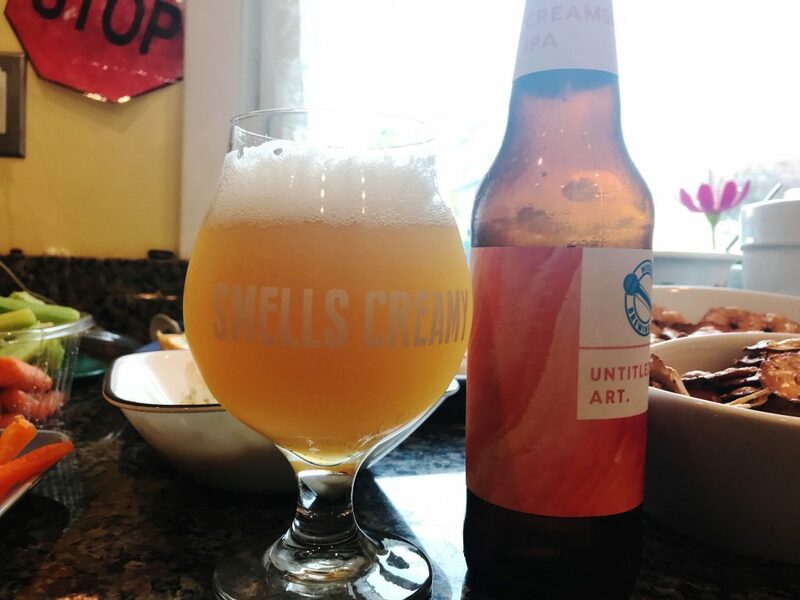 The Creamsicle IPA is one of their many Mikerphone collaborations to come out this year, and it delivers on its promise while also remaining a beer – a slight bitter finish saves this from the bland blob of many “milkshake” IPAs that just taste like drinking melted ice cream from a paper cup. The orange and slightly sweet vanilla aroma is nostalgia-inducing. This also has the less-TTB-friendly pseudonym of “Liquid Mounds Bar” which is a little too on-the-nose. It’s not just a hollow candy bar mimicking beer – this one has the depth and warmth of rye whiskey with a syrupy 13.5% ABV body that ensnares your palate for the next hour or so. The first canned offering from Perennial, this smells and tastes like a beermosa. The mouthfeel is perfectly effervescent while the orange flavor is more fresh-squeezed than candy sweet. The finish is orange pith and a slightly grassy and bitter hop. This is a brunch beer if there ever was one. This won’t be the first time I name drop Randy Mosher, because I’m a small time beer dork that got to meet beer’s best big time writer dork this year, and I’m still jazzed about it. You’d expect a guy like that to have lost some of that zest for the industry or to be some sort of high tower gatekeeper, but that’s not The Mosh. On a crowded GABF floor, he spoke with us on mic and for even longer off mic, just talking ardently about his personal projects or styles he wants to see more of or his favorite beers at the fest. Within that conversation, he got me to try this Fernetic from Forbidden Root (for whom he serves as “Alchemist”) – which is not something I would’ve necessarily sought out. My experiences with largely herbal and bitter spirits have yet to convert me, but this beer actually got me to revisit Fernet Branca. The beer is far more drinkable than I would’ve ever imagined, with no lack of herbal and spicy notes, but also a pleasant and warming finish that is like a refreshing mouthwash. Weird and wonderful. 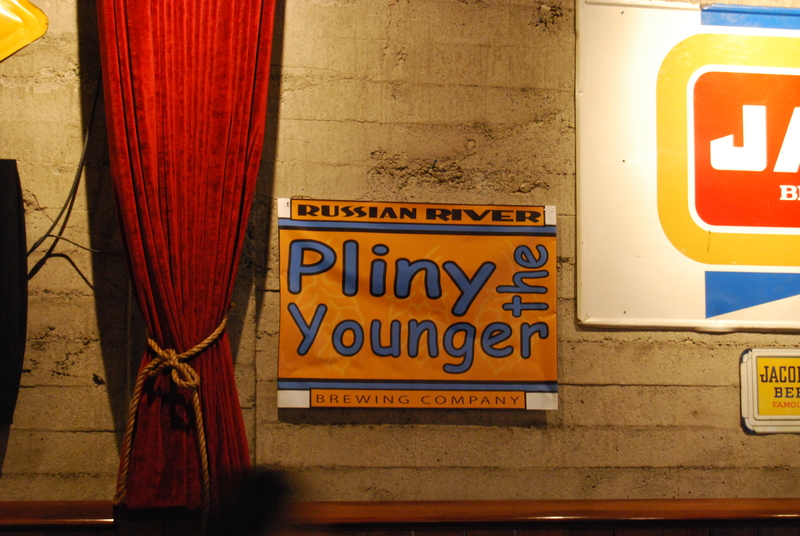 Weigh your tolerance of fanciful pubescent dude-centric nostalgia against some really high quality IPAs, and you’ll be close to figuring out where you stand on Hoof Hearted. 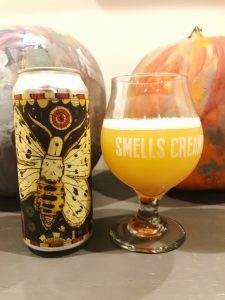 This beer smells of mango and under-ripened cantaloupe with an extremely creamy mouthfeel that tastes more of pineapple and coconut milk with a slight grassy bitterness in the finish. BUT did you see the label art?? Look at that lil’ Hall and Oates! Don’t you just want to pick them up and put them in your shirt pocket? I now realize how truly basic I am. A welcome addition to the 16-ounce can world, the dry hop on this pilsner provides a grassy and floral aroma, while the flavor has a light bitter bite that still focuses on the toasted biscuit and Nilla wafer notes from the malts. 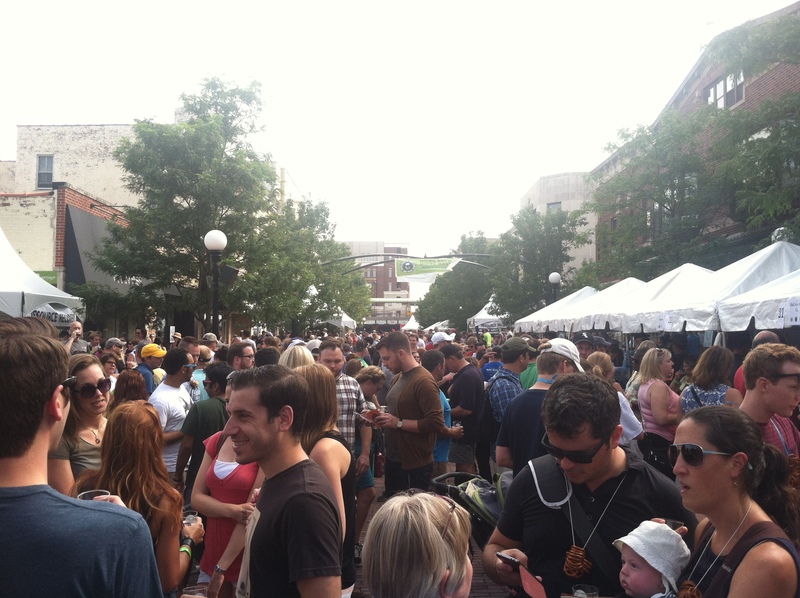 Sadly just missing this year’s list are a few other Maplewood beers I loved this year, like Brownie Points, Charlatan, and Son of Juice – but all are absolutely worth your time. It took me until halfway through 2017 to even give meads or braggots much of a chance. My many past experiences with those styles were like shooting Robitussin with a SnoCone syrup and schnapps chaser. Chris Betts from Transient poured us a bit from his mead collaboration with Four Fires called Purest Expression, and though my parameters excluded it from this list, it had one of the most significant impacts on my drinking this year. That included giving me the confidence to drink this braggot multiple times through the line at GABF. This is like jamwine – the ripest sweet red berries crammed into a dry red wine. These geniuses can do anything. This refreshing surprise at GABF was a multiple revisit as well – like, a few times a session, every session. Its stellar effervescent and clean mouthfeel carries along notes of juniper, ginger, lime zest, and French oak while finishing like a dry champagne. But doesn’t everyone start with a hoppy beer? 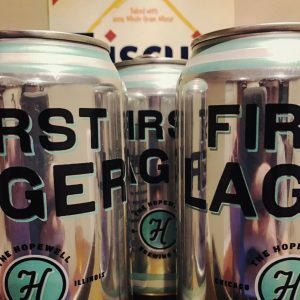 Well this first canned offering from Hopewell has a bit of a hop presence that does make it a unique lager. Aromatically, it is light with notes of wheat malt and citrus. The flavor is lemon and floral sweetness at first with a full mouthfeel that finishes crisp and lightly bitter. It’s also one of the best looking cans to come out of Chicago this year. This is a bit of a qualified review, because I drank this on several occasions and can barely accept that it’s a pilsner. If it is, then it’s the most tart, puckering, and grapefruit-forward pilsner I’ve ever had. It’s certainly more drinkable than most sours, but at best, it’s a light sour. But it’s also a show-stoppingly stellar summer beer that deserves your cooler space. Whispered about in the midwest but exalted in the south, 3 Sons Brewing Co. has made some world-beating stouts in its history, so this collaboration came with a high amount of expectation. It may not be the best Mexican-style stout I’ve ever tasted, but it’s a feat of maximum flavor with minimal alcohol influence – its 13% hiding snuggly behind a lightly spicy bitter chocolate finish. Using a classic Belgian yeast, this strong golden bursts forward with fruity esters, fresh baked bread, pears, green grapes, apple skin, pepper, and banana. It’s far easier to drink than it has any business being, like a softer tripel that is effervescent in body but finishes dry with a touch of black peppercorn. Their saison – Primary Element – is also a “just-missed” for this list, as it belongs in the conversation with other local saisons like Apex Predator and Robyn. This FoBAB standout was somehow without much of a line the whole fest, despite a crowd-pleasing flavor that reminded me of *gulp* Bourbon Vanilla Dark Lord (as it was once called). It is slightly burnt marshmallow atop a melted dark chocolate bar with rich notes of caramel and only a kiss of sweetness on the finish. 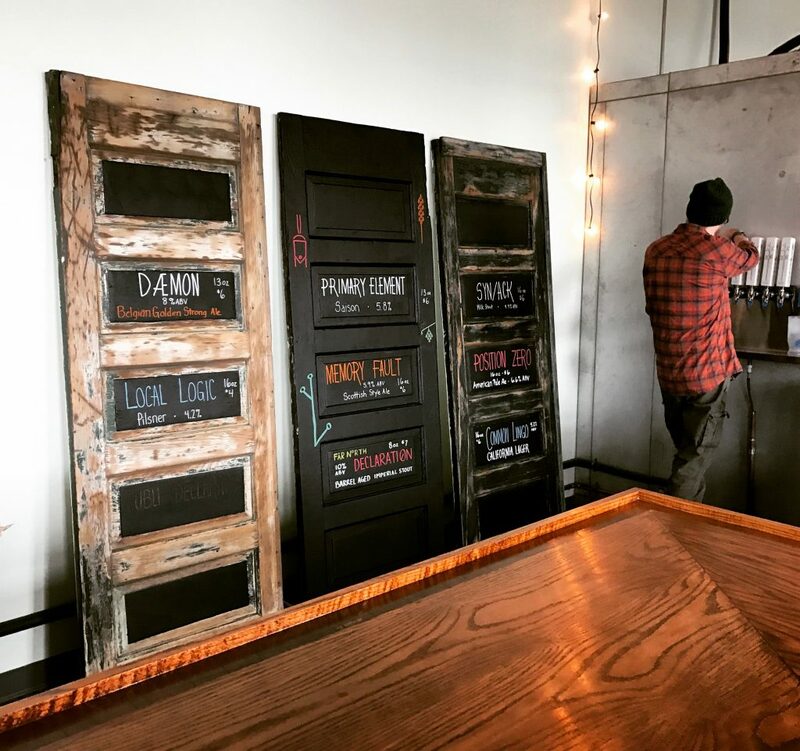 There were so many Colorado breweries that stunned us this year – Hogshead, Wiley Roots, Little Machine, WeldWerks, just to name a few – but Cerebral has some of the best stouts and NE IPAs we had all year. Throwing Sorachi Ace into this one – along with contemporary favorites like Mosaic, Citra, and Simcoe – was a just the type of genius stroke you can come to expect from Jacob at Cruz Blanca. Released in big stubby bottle 4-packs out of the taqueria, this beer kind of nods in the direction of hazy beers while doubling down on a more classic West Coast-style IPA flavor and mouthfeel with an herbal bitter finish. Cream ales were resurgent in my little world this year, and I hope that trend plays out on the shelves as the style lends itself so well to flavor additions, especially ones that would be buried in a porter or stout. This pistachio cream ale really emphasizes the nuttiness with a kiss of vanilla, and it may be “The Beer to Pair with Goat’s Milk Cheese of 2017”, if such an ultra-specific awards category existed. 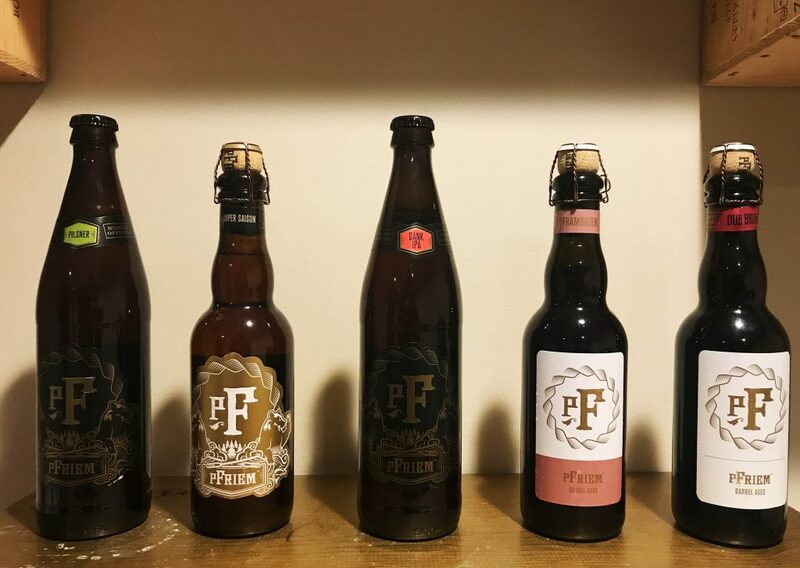 At one time, I had this bad thought: “Chicago doesn’t need any more breweries to enter the market – we are at capacity!” But then I remembered pFriem. I would personally help purge a thousand coolers to make room for a pFriem arrival in Illinois, which seems unlikely in the near future. But damn does this brewery produce some of the most finely-tuned plays on traditional styles that you will find. This beer is a Belgian pale aged in Chardonnay barrels, dry-hopped and bottle-conditioned with farmhouse yeast. The aroma is farm-made: lemongrass, musty old barn, and bubblegum. A soft, gentle texture brings about light esters, lemon, and banana notes with more bubblegum and neutral oak in the finish. With the can looking like a metalhead t-shirt and the beer tasting like a hop-enhanced Sunny D, this beer certainly plays the New England style card, even bordering on “glass full of Sea Monkeys” with its level of stagnant detritus. It’s actually hideous to look at. But the enormous fruit aroma carries through mango, papaya, wine grapes, green onion, and orange juice. It finishes resinous and bitter after that melange of fruit clears out. 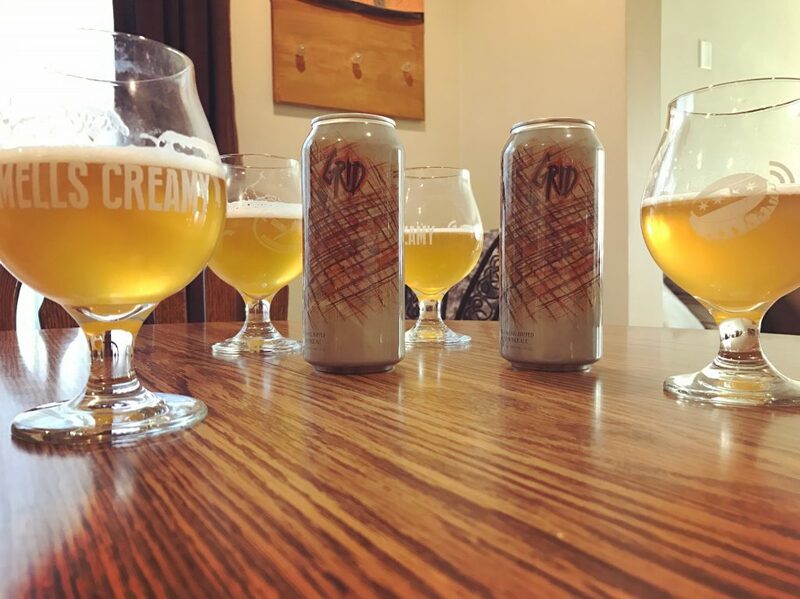 New Jersey’s Carton Brewing is leading the charge in redefining cream ales, and this beer fits that mission perfectly. It’s 9% ABV and is made with miso, an adjunct so crazy that it just might work. And it does. They reportedly were going for a vanilla cake batter flavor, and that’s pretty spot on without an obnoxious sweetness. It’s a little more like a shortbread cookie dipped in booze or a low-sugar sponge cake soaked in white rum. It’s also physically sticky, and persistently memorable, as I need a beer to fill this flavor void I now have. This almost qualifies as the first barrel-aged New England IPA that I’ve ever had (oh there certainly will be more, in defiance of decency). This beer is Forbidden Root reminding you that yeah, they got real good at the whole NEIPA game this year, but they also will Root-ify any style they can. The oak spirals really lead to an infusion of vanilla over anything else, creating another pina colada-esque IPA that works so damn well. If we did such awards, Revolution would clearly win the “Local Brand of the Year” award in a landslide. 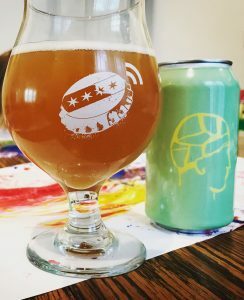 They’ve taken strides to redefine how Chicagoans consume packaged beers through 12-packs of mixed IPAs, a Pils that is better than anything macro has to offer, and one of the best pale ales in town. Add in 4 packs of barrel-aged beer releases to that lineup, and why not? Throw in a 19 ounce can of Anti Hero! To play off another, larger brewery’s famous tagline – they not only want to be the best beer you drink, but they may be the only brewery you need. This Deth By Cherries is a heavenly dessert: rich chocolate-covered cherries and bourbon caramels melting in your mouth. Somehow the cherry is neither tart nor sweet – just pure. Reason number 1,279 to vacation in Michigan, Arclight is churning out stellar sours (and other styles) out there in Watervliet. This beer is all huge fresh strawberries with a little bit of syrupy sweetness while finishing perfectly dry. Sour heads take notice – this is expertly done stuff. A canned barleywine?!? That surprised exultation will not age well, as I bet by the end of 2018, ALL BA BARLEYWINES will be housed in aluminum. Well, maybe that’s overshooting it, but I’m in favor either way. It smells like a fancy cigar with toffee, cherry, and white chocolate, while the flavor is like peanut brittle and a glass of Maker’s Mark. 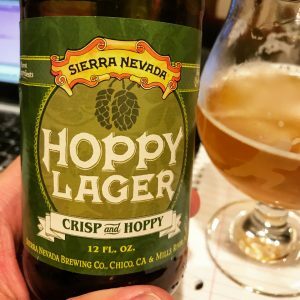 It’s no secret to listeners that Sierra Nevada is my favorite million-plus barrels per year brewery that happens to be owned by a self-made billionaire, and this beer was straight from my new favorite source for beer: CostCo. (That price per bottle….hoooooo boy!) I had low expectations for this mixed 24-pack filler, but it is an incredible floral and fruit-forward hoppy pale that has the crisp drinkability of a lager because it is, you know, a lager. And damn if it wasn’t peaking at 3 months of age – and I’d have tested it later down the road but it did not last in my fridge beyond the warmer season. It’s rare for us to review a beer twice on the show, let alone in a few short months of each other. But this New England-style hopjuice cocktail received a lot of deserved hype this year, as it’s an excellent take on the trendy style with pulpy orange pineapple juice and a light bitter finish. This brewery rewrote the story regarding Chicago’s take on the New England style along with Forbidden Root in 2017, and we can only hope for more highly-anticipated can releases from both in 2018. A complete and total surprise, Craig picked this one up on a whim for a last second show addition, and it was easily the best coffee-forward beer I had all year. It’s all medium dark roast beans with bitter chocolate and hazelnut, a significant bourbon character, and a lingering bitter roast finish. It’s a perfect sipper, and a BCBCS killer. If we thought we waited a long time for this one, I can’t imagine how the Middle Brow crew felt, letting this linger far beyond the one-year mark in barrels until attaining the perfect flavor. And it all pays off – the loveliness of the base beer is hardly lost, as there’s still significant pepper spice, sweet vanilla, and rich chocolate notes throughout. The booze isn’t hiding, but it makes for a beer worth sipping throughout listening to the entirety of your favorite record album. Having missed any announcement of this beer’s existence, I spotted this at the local chain liquor and muttered, “You’ve got to be f’in kidding me” at the ostentatious claim of “Triple Barrel.” Yo, Epic, I’ve barely begun to accept “Double Barrel” beers in my life and you want to pull a stunt like this?? Realizing we’re likely a month away from a sea of Quadruple Dry-Hopped DIPAs in 16-ounce cans, I dropped the faux outrage because Big Bad Baptist is a world-class barrel-aged stout, and you know, YOLO and whatnot. This beer is incredible. Serve this to me blind and I’d think I was tasting some new Bourbon County Stout variant. It’s pure decadence: the rum takes the lead on barrel character, but the coffee and coconut adjuncts are so perfectly in balance with a big flavor of candy bar chocolate. And at around $20 for the bomber, you’d win your bottle share on a budget with this one. Newer, trendy hops tend to ebb and flow in popularity, yet Citra still reigns over the beer landscape for a damn good reason. This beer is a celebration of that hop’s enormous citrus, tropical, and grapefruit aromas yet it goes beyond a simple juice drink. There’s a decent amount of grassy bitterness and a sweet kiss of peach and flowers from the interplay of yeast and hops that coats the mouth. Fieldwork also makes Pulp, which probably deserves a spot on this list for being the West Coast version of Julius, but I’d trade both of those beers for this one. Did Middle Brow finally cave and make a regular old IPA? Nope, because this one uses four different types of yeast to achieve a chewy full body that also exits on a dry note, pushing your lips back to the glass again and again. The combination of Mosaic and El Dorado hops provides orange pineapple juice, mango, and under ripe watermelon with a bit of grass clippings for bitterness. It hardly gets better than this, especially with 50% of profits going to the Chicago Women’s Health Center. God willing they get a taproom open in 2018. Made with homegrown corn from the Riggs family farm, this beer is a brewing seminar in how to take a style that’s been de-legitimized by Big Beer and reinvent it without losing mass appeal. Anyone who enjoys beer will appreciate this – on the surface it’s that first plastic cup from a fresh keg after finals week in college, but if you dig a bit deeper into the flavor profile, you find shortbread cookies, sweet corn on the cob, and a kiss of lemongrass. You’ll require no less than a growler, trust me. When a beer outright crushes the competition (for me) in a hazy-IPA blind tasting that included national phenoms like Tree House, WeldWerks, and Old Nation, it won’t be forgotten. This beer is a saxophone-rich tribute to Mosaic, giving shine to the dazzling array of flavors that hop imparts like orange marmalade, juicy blueberries, and sticky pine needles. Here’s to hoping that Hop Butcher brews this one again (and with that DRAFT Magazine nod, it’s likely), because then you can be the totally-not-obnoxious, opposite-of-pretentious beer one-upper with your newbie craft beer friends and tell them that you have the Zombie Dust killer. Seriously, this has “flagship pale ale” written all over it, as it’s got that mass appeal of being sessionable, bitter, and crisp while also smelling like expensive marijuana and orange juice. The flavor is all orange and pineapple and an immaculately rolled primo blunt. It’s perfect. Half Acre can make sour beer now too, so all other breweries are screwed. Well, not quite, but this beer is so impressive that it’s hard to believe they can master another style segment after already dominating in everything hoppy – but all that undermines the excellent Tired Hands’ influence on these Heavy Gem beers. With an aggressive tartness, this beer is like a peach mimosa with a splash of red wine and lemon juice. It’s warming, yet it finishes exquisitely dry. Last year’s “v2” batch of this rotating hop DIPA release made it to number 3 on my year-end list for 2016, but that’s not to say that this one isn’t as good – it actually might be better. Jerry Nelson of Une Année has dialed in this recipe to bring in more of the “haze trend” characteristics, but as where many of those showcase one or two notes, this beer is a complex cornucopia of fruits bursting forth from the aroma: papaya, mango, red berries, passion fruit, red grapefruit, and pineapple. The mouthfeel is lush and cottony while the fruit is just as abundant in the flavor while the whole thing finishes with a real herbal bitterness. Saint Errant may be the most exciting project to pop up in 2017, especially if your preferences lean towards the hazy IPA and imperial adjunct stouts. (Just wait until they start releasing their sours, though.) Many beers of theirs could be in this spot, but this is the one I drank the most. It’s not just an impressive debut, it’s exactly what I want from a Double IPA at the moment. It’s seriously juicy, but it feels more West Coast than New England, though the latter influence is present as well. Each year on Black Friday, I’ve made it a habit to make the Beer Cellar in Glen Ellyn my one and only beer stop on that day, and now it’s my most anticipated beer day of the year. 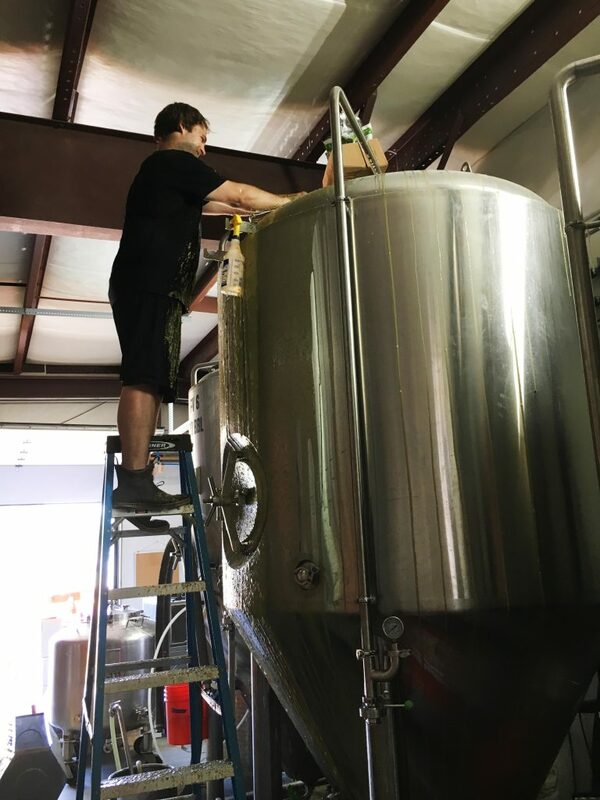 In addition to the usual Transient madness that Dave Hawley and crew were pouring that day, a few taps were dedicated to another more recent local favorite – the still just-barely-not-a-homebrew-operation Afterthought Brewing. We’ve been very fortunate to taste a large variety of Michael Thorpe’s beers, and saison and sour lovers should be champing at the bit to see what will start coming out of his barrels. This delicate and crisp saison takes on a serious floral and juniper influence from the gin barrel, while finishing with a light lemon pepper crisp bite and dryness. I still dream about this beer. On the Low ABV episode we did for this, I called it the best thing Hop Butcher has done so far. It’s the perfect culmination of all the best bits of the big juicy Double IPAs they’ve been releasing, sheathed in the city’s best can art (by Dan Grzeca – just go follow him @jetsah). It’s a fruit stew of orange juice, pineapple, grapefruit, lemon, apricot, and mango that coats the tongue before turning punchy and bitter. Thank god for malts, and thank god for bitterness, because those things make Double IPAs great. If people want to criticize Hop Butcher for not making “true” New England style IPAs (as some have), I want you to really think that particular criticism over, sip on this beer, and chortle. 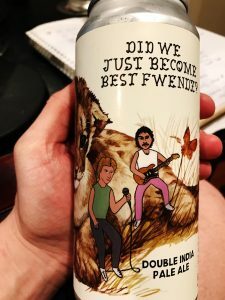 This bong-sized can holds one of the most majestic barrel-aged stouts that is both relatively available and budget friendly. It’s been a few years since I enjoyed a regular Ten Fidy, but I credit that beer for deepening my love of enormous roasty stouts, many years back. It’s a crime I hadn’t had more than a few festival pours of the barrel-aged version before this, as tasting this one left me slack-jawed. Aromatically, it’s a complex profile of bitter chocolate, vanilla, dark fruit, charred oak, espresso beans, and toasted marshmallow. In the flavor, there’s caramel, burnt brownie ends, dark roast coffee, light vanilla and a ton of bourbon oak warmth. Smooth, not too sweet, and a perfect full mouthfeel – I’ll never neglect this beer again. One of my personal highlights of the summer was visiting Chris Betts’ compact facility out in Bridgman, MI to record an episode and volunteer for the day doing menial work like emptying foeder run-off and moving giant crates of empty bottles. While brewing another batch of this very beer, Chris added so many hops that it started violently spewing hop foam from the top of the fermenter, coating almost the entire room and leaving Betts looking like a Citra Swamp Thing. We spent another hour hosing off everything in the brewery that was coated in hop oatmeal, and it smelled incredible. This beer was a unanimous winner of our blind tasting of local “CHI NEIPAs” for a great reason. It’s another one that nails the juicy style and has a whole lot of other complexity and bitterness that make it more than just a hoppy trend-hopper. Here I thought Hagen and Bill were giving us this rare in-depth tour and talk around Dovetail on the day we came out to record a brief segment, but I hear that’s what pretty much all of their tours are like. That’s just who they are – they are unabashedly proud of how cool their brewing process is and the resulting beer is remarkable. This beer simultaneously revived my love of hefeweizens and ruined every other hefeweizen for me. It’s so soft and pillowy with a dreamy balance of banana and clove – it’s the most drinkable beer I had all year. No quantity is enough. Not exactly a new discovery, but kind of a rediscovery – this is one of those beers that I had a year prior and thought was impressive. But in my 2017 mouth, it’s so far beyond that – it’s one of the most essential and unique beers this city has produced. It’s peach sherbet and gummy orange slices, but not sickly sweet as that sounds, because the rooibos tea adds a little vanilla and herbal bitterness to the hops that makes it end shockingly dry. I promise not to bemoan Marz’ “premium prices” any more as long as this beer is fresh and as ubiquitous as Anti-Hero (please make this happen), because this is a marvel of a beer. This is tacky to say, but you should listen to the episode where we had this and skip to about the 30 minute mark to hear my recorded reaction to the first whiff of this beer’s aroma, because it’s the purest moment of giddy disbelief we’ve probably ever had on the show. Now I will say that having had two bottles of this several months apart, the slightly aged one was a bit more challenging in its sweetness. 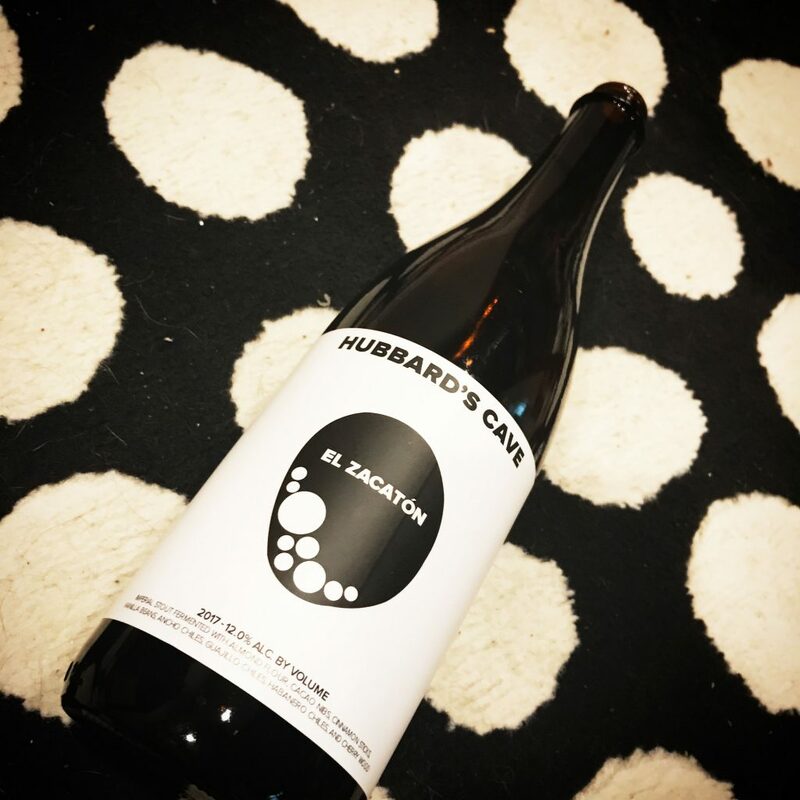 But even combining that with my first experience, this was the most memorable stout I had this year, and my favorite thing Hubbard’s Cave has produced so far. It’s pitch black and oily with big dark brown head. The aroma is fresh-baked cinnamon rolls and peppers with smokey bourbon-soaked cherries. It’s rich and unapologetically sweet, but a tickle of vegetal pepper heat helps balance out the roasted cinnamon sugar almond milk and chocolate flavor. This has to be tasted to be believed, but I’d wait for a fresh one to drop – which I’m hopeful it will. It’s about a two-year process to make this beer with its blend of barrels, inoculation with mixed cultures, and time spent just making love to raspberries. The result is this absolute masterpiece of what sour beer can be. From the sumptuous appearance in and out of the bottle to the smell of rain-soaked ripe raspberry fields and fresh flowers, you start to feel like you should’ve dressed up for this one or at least poured it into a nicer glass. In flavor, the raspberry tartness is imposing for a second but never goes acidic, and the beer’s overall effervescence and dry finish helps mete out the perfect allocation of flavors. It’s a raspberry explosion that quickly dissipates with some light oak barrel tannins and that just perfect dry finish. I’ve never had a better raspberry beer.